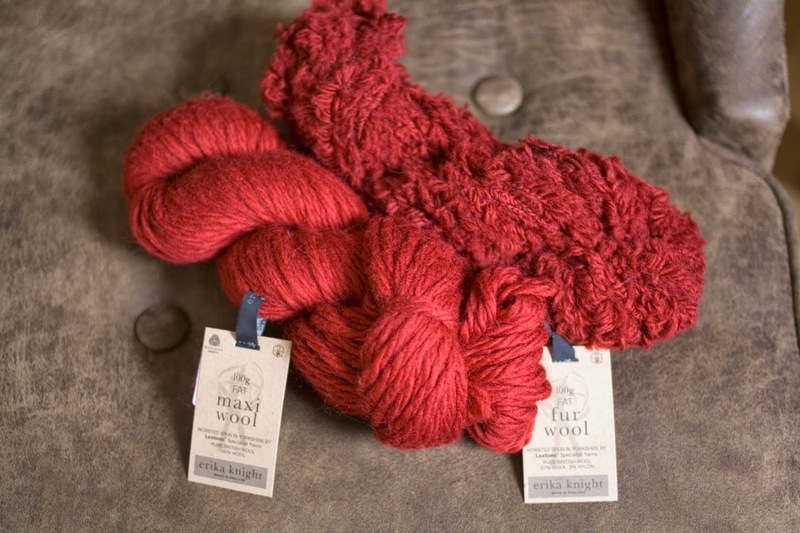 dull roar: Erika Knight Yarn Review & Giveaway! 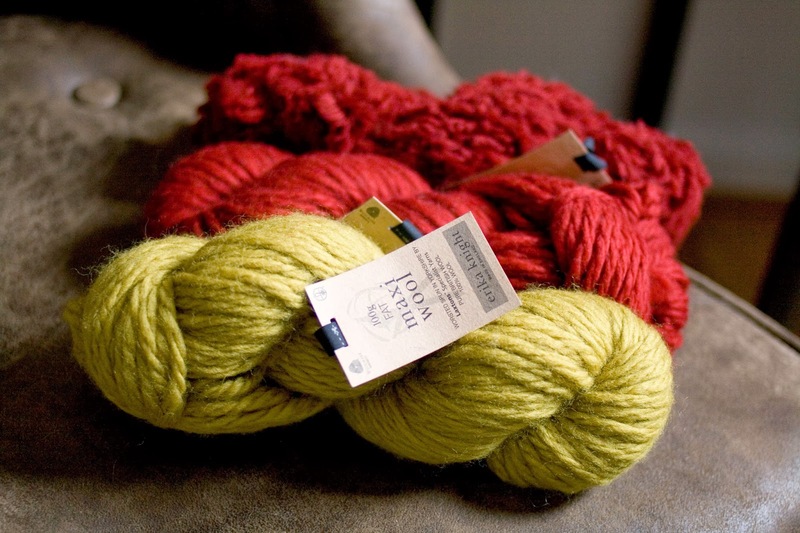 I was recently sent a few skeins of Erika Knight's lovely British wool yarn to check out and pass on to you guys! This stuff just screams "I'M WOOL!" It feels hearty and chewy and even has a little bit of a sheepy scent to it (which is a good thing!) It's not as soft as merino - few things are, after all - but it would be wearable next to the skin in less sensitive areas (or on less sensitive people.) With my baby-wimp skin I'd probably shy away from using it for a cowl, but for mitts or a jacket? Wonderful. 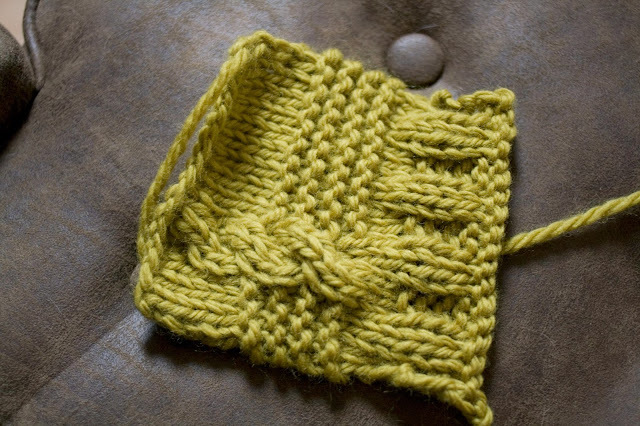 As you can see from the swatch, it suits a simple stitch like garter or stockinette a bit better than cables, as it's a squooshy yarn rather than a pop-y yarn. I'm particularly fond of the garter. The Fur Wool, now there's an interesting beast! I thought it would feel like the synthetic furry yarns of yore, but it doesn't at all. It's much more like petting an actual sheep! It reminds me of running my fingers through my grandmother's hand-hooked wool rugs. I didn't swatch it up, as I wanted to pass the skein to one of you without rumpling it, but as you can see from the projects on Ravelry, it very much looks like sheepskin (or perhaps... a poodle pelt? Heh.) I would describe as a luxury novelty yarn- it looks more hearty and chic and authentic than the synthetic stuff. It definitely feels more authentic, and is a bit less soft than it looks- this is another one I'd use on a less sensitive body part, or over an underlayer. I think it'd look great as a trim on some sort of accessory, paired up with the matching Maxi. Thank you to Blue Water Fibers for providing the yarn for this review/giveaway! Boot toppers look perfect to me! It obviously wants to be knitted up as a red fox. Pretty yarn. I'd make a cowl. Texture mixed with the fuzziness. Would be interesting. I love the red color. Oh my gosh!! Stunning! I would make up a critter with it...a furry fox or for a squirrel's tail!! Thank you for the chance! I'm thinking a lovely scarf or cowl! That furry stuff would be an awesome trim for the stocking I'm knitting my niece! I would love to make a little furry gilet for my sheep obsessed toddler, who aspires to actually be one when she grows up! Knittingpuffin on Rav. novelty yarns aren't my favorite, so I'd probably use it to line something, like a hat or mittens. hmm, or slippers! it could be my own dark fluffy secret. and it's mostly wool, ouais! oh, and whimsindie is my ravelry. Given the season, the color, and the furriness, I'm thinking some type of Santa-like hat. Maybe with a big pompom? A trim on some boot cuffs I think. Or some kind of toy for son! some kind of crazy fun hat! I think it would make a lovely cowl or hat, it looks so soft! Hmm... first idea that comes to mind would be to use the "fur" on the cuff of a hat and use the other skein for the body. Could maybe do the same thing for mittens? Email or I'm sjn821 on Rav. Thanks! i'd make my boy a hat! he'd love it. I'd love to try both! Most likely for a cowl or mittens. Hello boot toppers! I heart you! that would make the best and most ridiculous slippers ever. on a less ridiculous but still awesome note, fox face. boot toppers would probably be the least ridiculous option and/or best looking option. thanks for the awesome give away! contact by any means via the associated google account! I would make a pimpin' scarf for me to wear to college next year. A soft red base with a furry trim i think. Mobius. fluffy with my black leather jacket, with my Chanel red lipstick. 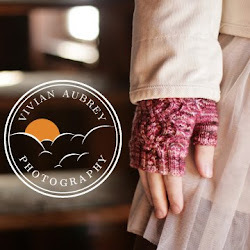 I'd knit Erika Knight's Fur Cuff mitts for some furry woolly goodness! a cowl because i love to make cowls and this looks like it could combine well to make a bright, pretty one! Edging for a woolen muff. I'd want to create some sort of ushanka-inspired hat, definitely. I would make a lovely red hat with furry trim to go with my younger daughter's red coat. I want to make a scarf. NOW!!! Hm, I think the furry yarn would make a lovely, pettable pony plush. (I was gong to say hedgehog, but red hedgehogs are not common...cinnamon hedgehog? ^_^ ). Since it's colder in Minneapolis than even I was prepared for (thank you, Old Man Winter), I'm thinking leg / calf warmers (you know, for under slacks; not necessarily to the knees) and a very warm hat. Brrr, bring on the wool! In case the sign-in goes sideways, this post is from QAGeek @ Ravelry. I would knit an awesome hat! Especially since we're getting snow now! I would use the furry yarn as trim on the edge of a hat and mittens. 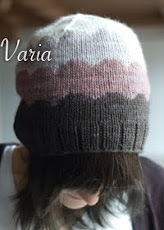 If the yarn doesn't seem soft enough for the intended wearer I would knit a lining for the hat in a soft yarn. If there's any left over, stuffed toys! I would love to mix it up on a scraf.